The hotel was very clean and the room was comfortable. Staff was pleasant and efficient and the food in the restaurant was very satisfying. There is always a relaxed atmosphere. Very efficient and friendly staff. Marvellous tranquil location, on the edge of woodland and with a riding stables attached. Excellent food in restaurant. Wish I could have stayed longer! This hotel was a last minute booking returning from Berlin to Rotterdam. It was excellent value in a very pleasant location. From arriving at the reception was met with friendly helpful staff. We ate at the restaurant for evening meal and again the staff went over and above what could have been expected. The room was above average size, clean and pleasant. Breakfast was very nice and taken on a lovely terrace. Overall a great experience. Lovely setting, traditional German hotel slightly dated. As non german speakers the young waitress was extremely pleasant and we managed between us. The hotel clientel we experienced was for 60 plus generation so quite quiet. good breakfast and the hotel very clean and quiet. 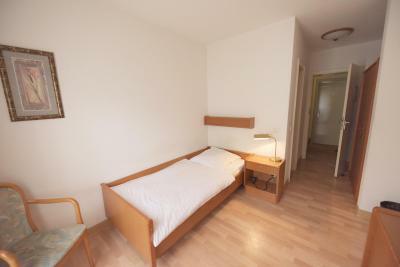 Parkhotel Osnabrück This rating is a reflection of how the property compares to the industry standard when it comes to price, facilities and services available. It's based on a self-evaluation by the property. Use this rating to help choose your stay! A large beer garden is offered at this cottage-style hotel. 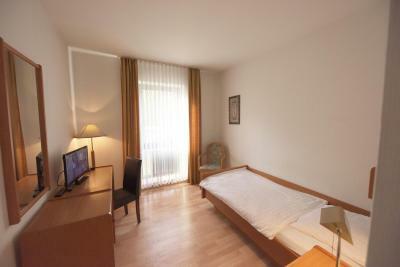 It lies next to a peaceful park, just a 10-minute drive from Osnabrück city center. Chandeliers and wooden beams are featured in the Parkhotel’s restaurant, which serves seasonal cuisine and a daily breakfast buffet. The sunny beer garden includes barbecue facilities. 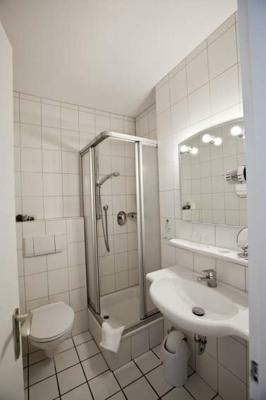 Parkhotel Osnabrück’s spacious rooms feature cable TV and carpet flooring. 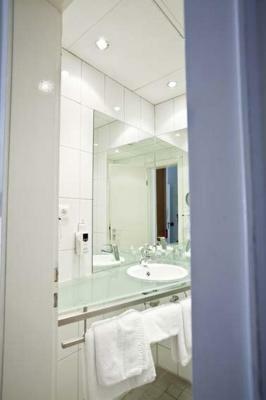 Each has a bright, modern bathroom with shower. Free Wi-Fi is available throughout the property. Hiking and cycling trails can be found in the scenic Teutoburger Forest and at Lake Rubbenbruch, both within 3.1 mi of the hotel. The A1 motorway is 4.3 mi away, and free parking is provided. 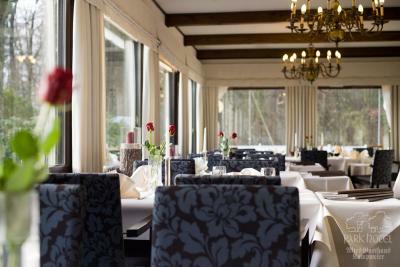 When would you like to stay at Parkhotel Osnabrück? Classic-style room with a work desk, cable TV and a private bathroom. These spacious rooms offer a view of the park, and feature a seating area and a large window. House Rules Parkhotel Osnabrück takes special requests – add in the next step! One child under 16 years is charged EUR 9.50 per person per night in an extra bed. Debit card Parkhotel Osnabrück accepts these cards and reserves the right to temporarily hold an amount prior to arrival. Parkhotel Osnabrück accepts these cards and reserves the right to temporarily hold an amount prior to arrival. 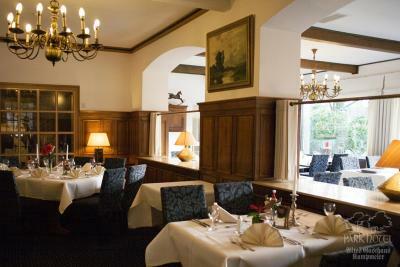 Guests arriving by car should enter the following address into their navigation system: Am Heger Holz, 49076 Osnabrück. The Edinghausen 1 address is a one-way road which cannot always be accessed. The Hotel has been sold and I hope it will not loose it's character. I liked it at all. Just one little niggle - you would need the arms of an ape to reach the toilet paper while sitting on the seat! Couldn't open the bedroom window. the soft beds, the warm milk at breakfast table ( cereals). No AC. good breakfast selection, big room. good service. Nothing.Had problems locating the hotel.